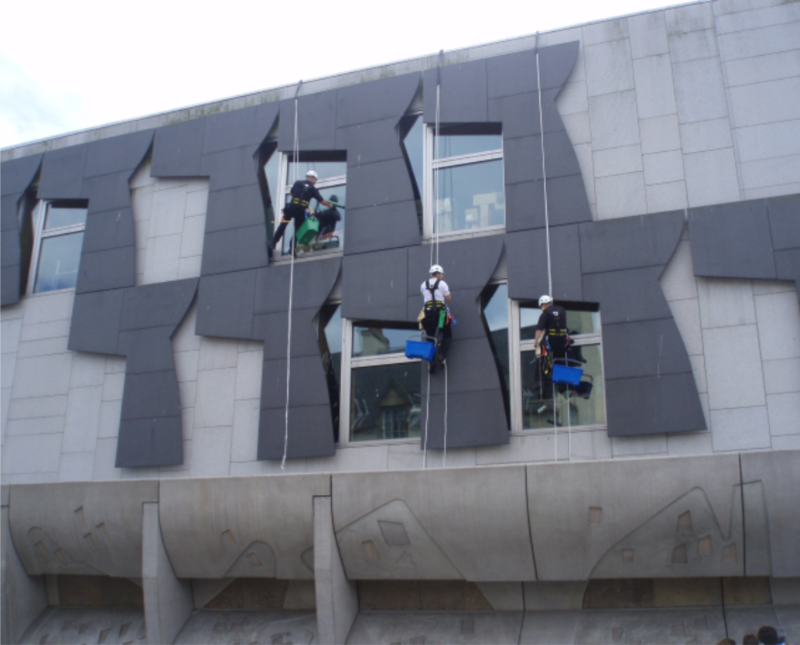 Overview TRAC was awarded a five-year maintenance contract at the Scottish Parliament in Edinburgh. The contract involves building fabric PPM’s, reactive maintenance and projects utilising a range of specialist access techniques. These include rope access, MEWPS and bespoke access platforms. Types of work undertaken involve cleaning, coating applications, installation and maintenance of fall protection systems, installation of bird deterrent measures and specialist rigging and access to all elevations and high level areas of the structure.